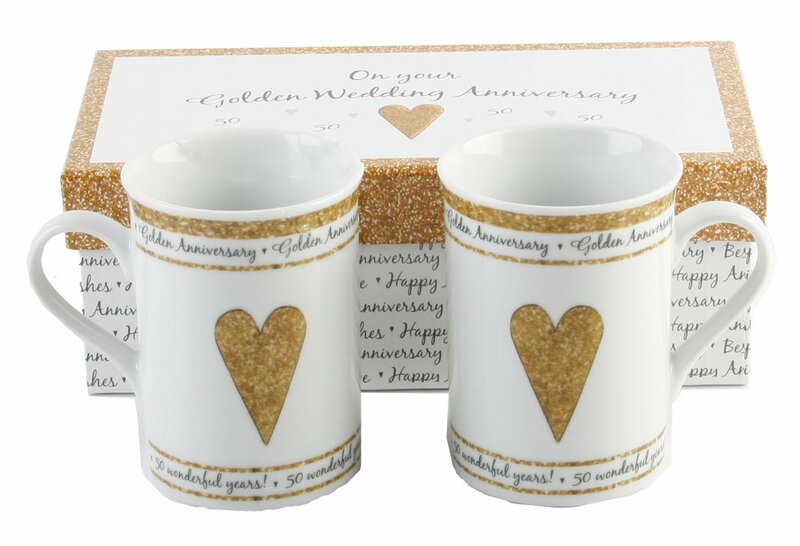 A pair of ceramic mugs - "Golden Anniversary" and "50 wonderful years" gold lettering. Finally an anniversary gift that will get used! Complete with beautiful presentation box. Measures approximately 4" in height and 3" in diameter.